But when you order it online, it takes 7-10 days (this one took 2 weeks) to deliver compared to 24 hours previously. Wonder if there's going to be a new update to this hardware? It's a magic mouse. That's the magic one resting on the Macbook Pro. Been using the mighty mouse for years and the small little button in the middle gets on my nerves. 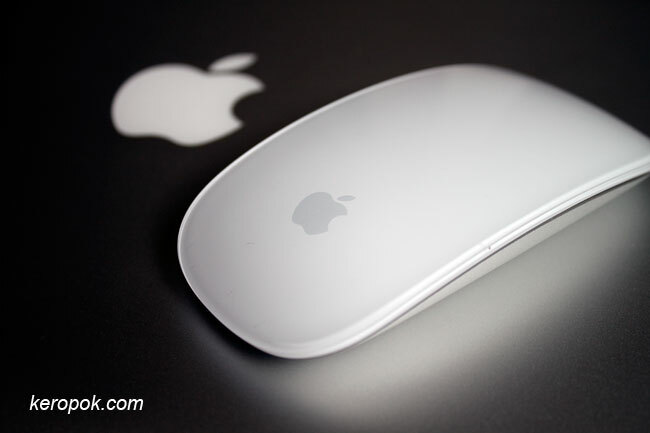 The magic mouse solves that problem. Almost everything about it is nice, except that it does not move as fast as I am used to on other mice. I think they are still running out of stock at most places. Yeah that tiny fiddly button gets jammed all the time! I also want this! But I also have a new wireless mighty mouse. Maybe I should sell that and the current wired one...hmm! So, instead of the built in scroll ball, do you just move your finger in the center to scroll? I have not seen any of it in any shops around! During Christmas, iPods were also sold out! The tiny button is a bit too tiny isn't it? I have to regularly clean it for it to work properly. Now I don't! Get it! Yes, you move your finger in the center to scroll. They should have invented this long ago! I should try this mouse, don't like the button too.